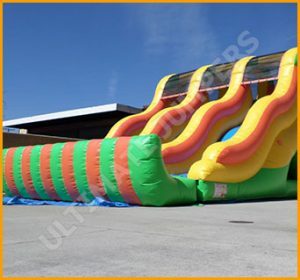 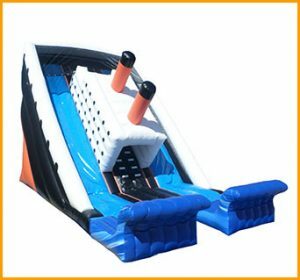 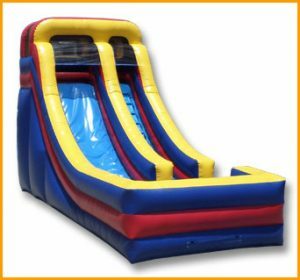 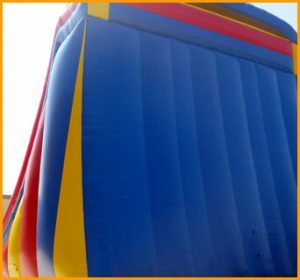 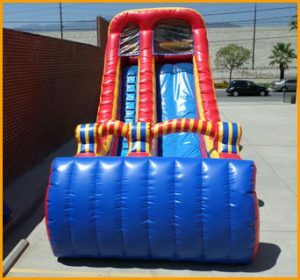 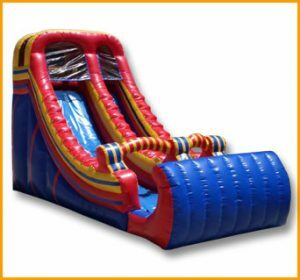 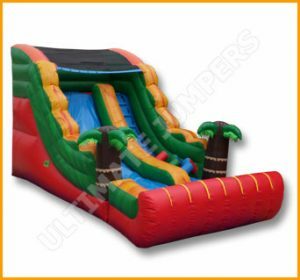 This inflatable 16' double lane tropical slide is perfect for luau parties or birthdays with a tropical or pirate ship theme. 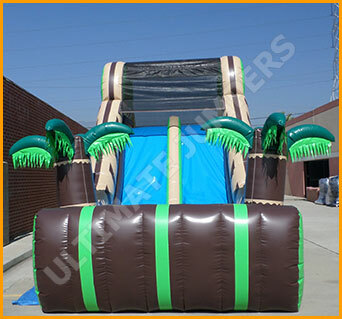 Double the fun and excitement on this inflatable dual lane tropical theme slide. 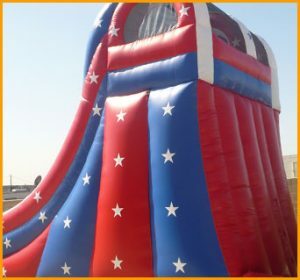 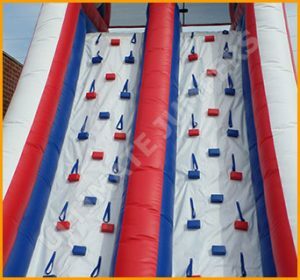 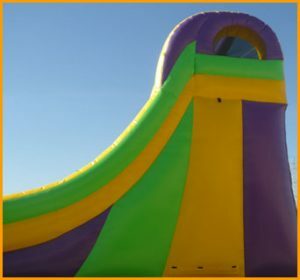 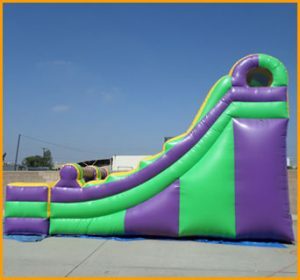 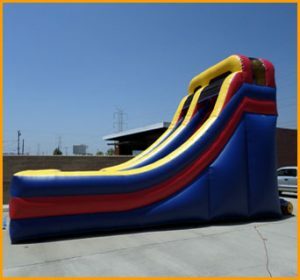 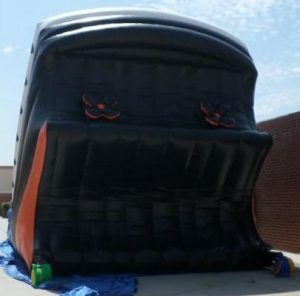 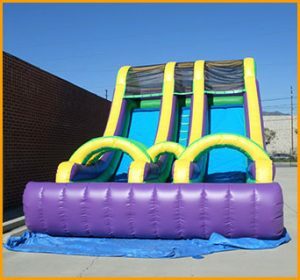 Kids of all ages will have a blast as they climb up from the back and slide down with their friends. 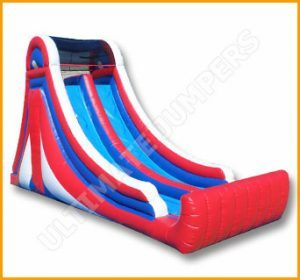 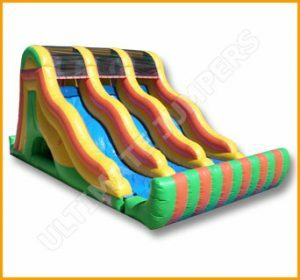 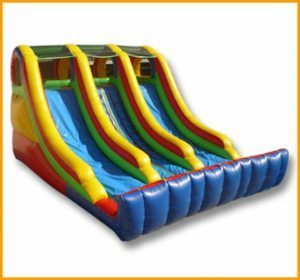 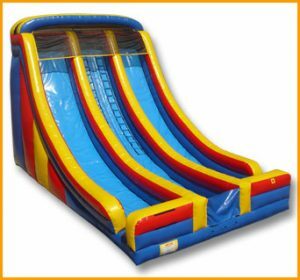 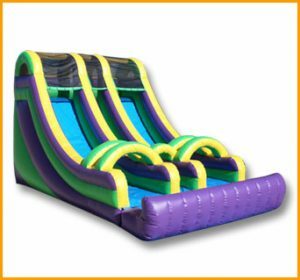 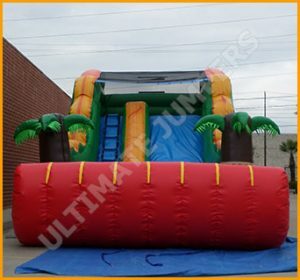 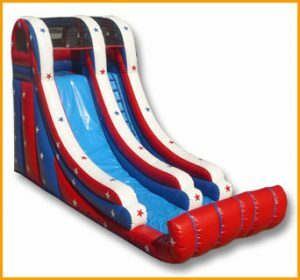 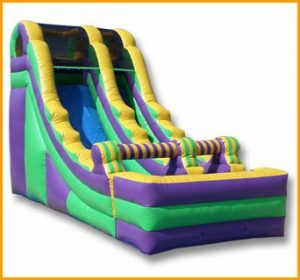 This inflatable 16′ double lane tropical slide is perfect for luau parties or birthdays with a tropical, jungle, animals. 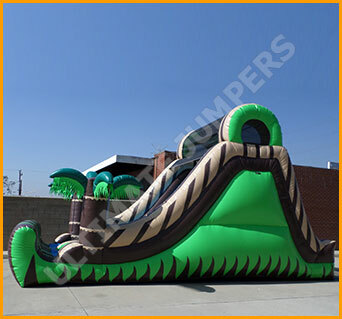 or pirate theme. 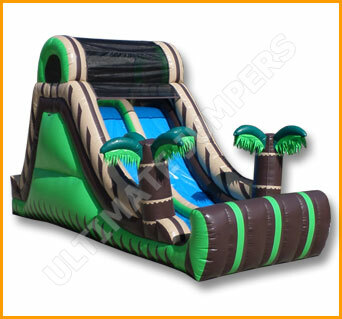 This unit is manufactured with the safety of kids in mind with durable, long lasting materials. 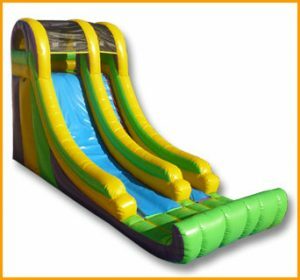 This double lane tropical slide is perfect for kids of all ages.